Through our website, you can gain read articles, vote in polls, sign up for updates, and apply for our golf card. For the most part, you can read the content in our website without providing us with any of your personal information. However, you may be asked to provide information such as your name, email address and cellular phone number if you wish to make use of any of our services. Moreover, we might also collect other information such as the web pages you visit, the web browser you use, and the operating system you use. This kind of information will not be connected to you, but will be collected anonymously. We will use the information we collect to provide you with information and other services that you have requested from us. And we might use some information to show you information and advertisements about products and services you might be interested in. At times we will also use this information to get in touch with you directly. We will do this if you win in one of our raffles or contests, you sign up for our newsletter, or you show interest in buying our golf card. If you choose to contribute content to our website (e.g. write a golf course review) we may publish your name, occupation, and other information you provide us. We may also identify you should you submit comments or testimonials about our website. We will also use some non-personal information we collect from you in order to help us with the future design and content of our website. 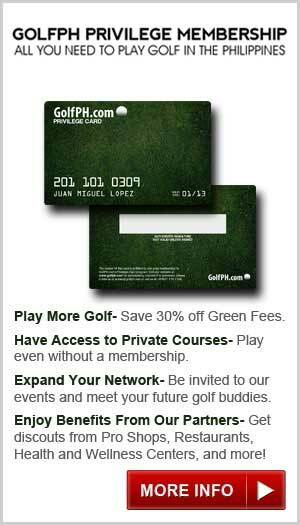 This information will allow us to provide you with a more personalized experience when visiting our GolfPh.com. Should we be compelled to do so by law (e.g. by court order or request from a law enforcement organization), we will disclose certain personal and non-personal information we have collected. Although we will be making all efforts possible to protect your privacy, we cannot guarantee that your personal and non-personal information will never be used for any purpose other than what is stipulated here. 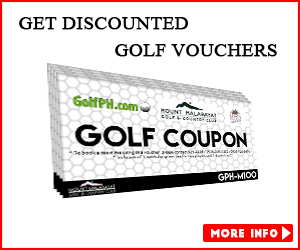 Golfph.com may contain links to other websites who may have different privacy policies than ours. You should read their respective privacy policies in order to learn how they will be handling your information. If ever we hold promotions, raffles, sweepstakes, etc. in cooperation with other companies or websites, the information you will be providing will be accessible by both parties. We will have no say in how this party handles the said information. 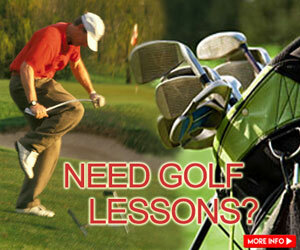 Golfph.com may sometimes present you with advertisements from websites not affiliated with our company. We are not responsible for the manner by which these websites handle the information you submit from them or they collect from you. Cookies are text files that websites place on your web browser for the purpose of collecting non-personal information. They will not collect personal information unless you voluntary give this to us by filling up and online form and so on. Golfph.com may also use embedded codes such as web beacons and clear gifs to record information such as the number of times pages on our website our viewed, how many people click on a certain advertisement, and so on. We have made extra efforts to ensure your security when visiting our website. These will allow us to protect unwarranted access and usage of your personal and non-personal information, for example.